I inked up the raised side of an embossing folder with Tattered Rose, Worn Lipstick and Evergreen Bough, spritzed with water and pressed my card onto the folder to get a print. Trimmed it to an angle, adhered it to the card and added my latest craze, doodle stitching. I'm entering this into Simon Says Monday Challenge Anything Goes. 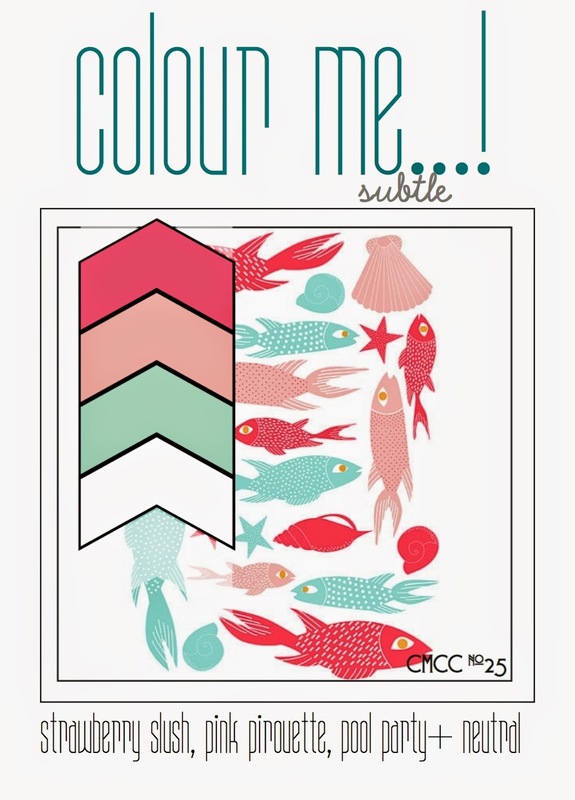 Come on over to Colour Me...! and join in the fun! Gorgeous! Thanks for dropping by Kate's new blog - she was thrilled to get your comment! Wow, your stamping is divine - an embossing folder, seriously?! Love this! Wow - amazing result! I've used this technique before, but not with several colours - just fabulous! You truly are the "Queen Creator of Doodle Stitching"! Hey...that would be a great challenge theme - incorporate doodle stitching in your creation! Such a pretty card! The blossoms love fantastic! Thanks for joining along with the Simon Says Stamp Monday Challenge! Fabulous!! 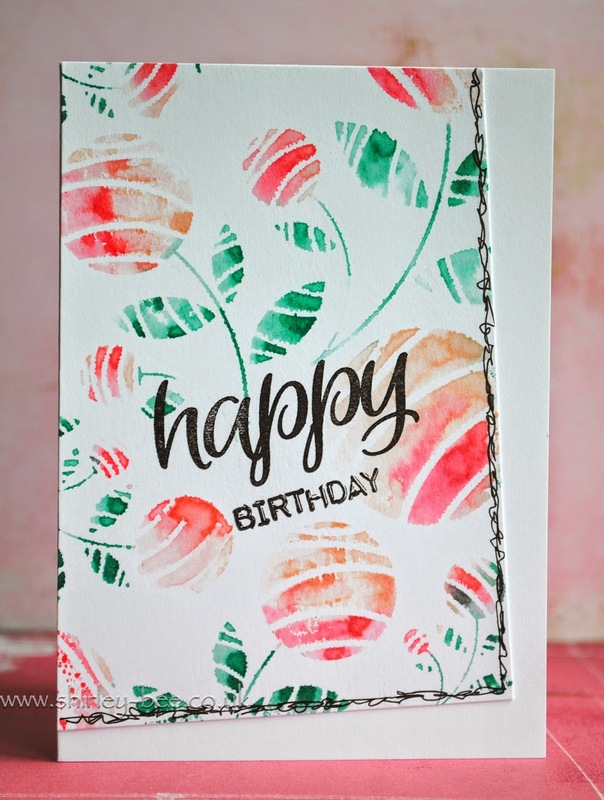 Love that fun stamping and the doodled border!